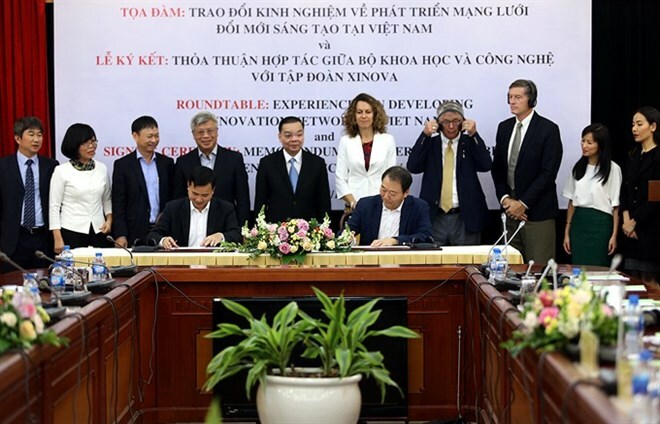 The Ministry of Science and Technology and Xinova have signed a Memorandum of Understanding to establish a global innovation centre in Vietnam to connect Vietnamese innovators with the global innovative network for greater creative ideas. 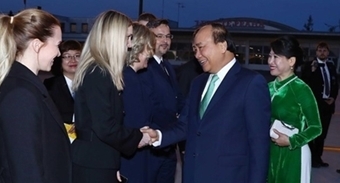 The centre will serve as a bridge connecting local groups and businesses with a network of more than 12,000 global scientists and innovators, Minister of Science and Technology Chu Ngoc Anh said at the signing ceremony held in Hanoi on November 28. It will also create conditions for Vietnamese scientists and engineers to join the network. Technology management officers and those working in the innovation sector in Vietnam will have opportunities to learn from the world’s newest solutions aiming to boost innovation. Science, technology and innovation are the driving forces of the economy and contribute to improving competitiveness and global integration of enterprises. The MoU has demonstrated the efforts of the Ministry of Science and Technology to promote innovation in Vietnam, the minister said. Yong Sung Kim, Xinova President in the Republic of Korea and South East Asia, said Xinova is proud of working with the Ministry of Science and Technology to facilitate Vietnamese innovators to demonstrate their reputation. Xinova, a corporation with a network of 12,000 investors and experts, is operating in nine countries worldwide. It partners with customers and inventors to think beyond the confines of their organisations and solve big problems.